As virtuoso drummer Jack DeJohnette approaches his seventieth birthday-he will turn seventy on August 9th of this year- he can look back at an extensive body of work that speaks for itself. Interestingly he started out as a pianist, only later to be convinced by the saxophonist Eddie Harris to concentrate on drums, because as Harris said he had a natural affinity for the skins. Perhaps it is his understanding of the piano that is the basis for his long time collaboration with pianist Keith Jarrett and bassist Gary Peacock in one of the most durable and influential piano trios of the last nearly thirty years. As DeJohnette recently said in a Wall Street Journal interview with Larry Blumenthal (click here to view ) "Keith and I clicked instantly," he said. " We never had to discuss anything, not to this day." DeJohnette was recently honored with the NEA Jazz Masters award which is the nation’s highest honor in jazz. With such achievements the man can afford to make music his way and on Sound Travels he does precisely that. From the beginning track “ Enter Here” he comes full circle playing a marvelously light introduction on unaccompanied acoustic piano with a resonating bell’s lingering chime book ending the delicate piece. Mr. DeJohnette finds his piano voice on several of the album’s compositions as he demonstrates the “oneness” of piano and drums. He enlists the young bassist phenom Esperanza Spalding to add her lilting voice to the Latin inspired composition “ Salsa for Luisito” where he and percussionist Luisito Quintero parry and play together in joyous rhythmic synchronicity. The fiery young trumpeter Ambrose Akinmusire brings his formidable chops to this Latin feast with a sound that let’s us know he has listened to Dizzy Gillespie, Mario Bauza and Arturo Sandoval. DeJohnette again ends the piece with some overdubbed piano. Perhaps the biggest surprise of the album is Mr. DeJohnette’s collaborative composition with the more mainstream pianist/ singer Bruce Hornsby. The gritty “Dirty Ground,” while clearly not mainstream jazz, is a pure musical joy. Hornsby’s down home country vocal adds a feel-good spirit to the Levon Helm inspired song. DeJohnette again takes on the dual role of playing piano with maintaining groove inspired drumming. He employs considerably younger artists from various backgrounds throughout the album. Besides the previously mentioned Spalding on bass, Akinmusire on trumpet and Quintero on percussion, on this song we find the West African, Lionel Loueke playing an impressively authentic delta blues style guitar that is perfectly complimented by the weightless soprano sound of Tim Ries. 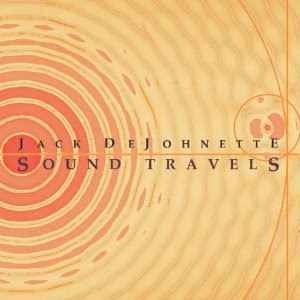 I applaude Mr. DeJohnette for unabashedly recording a song that could easily crossover to a wider audience without concern for offending the purists. Speaking of purists “New Muse” should satisfy them quickly enough. With a front line of Mr. Akinmusire on trumpet and Mr. Ries on soprano, a solid bass line by Ms. Spalding and the propulsion of Mr. DeJohnette’s drums and piano comping, this one should fit any purest’s requirements. Mr.Ries is particularly slithery on soprano in a snake charmer sort of way. Mr. Akinmusire continues to show his penchant for unusual melodic lines that despite confounding direction are perfectly relevant. Mr.Loueke’s West African rhythms are explored on a tribute piece to the saxophone colossus Sonny Rollins, the breezy “Sonny Light”. Mr. Loueke delicately plucks his nylon strings as Mr. DeJohnette’s deftly comps on piano. Tim Ries lilting tenor solo is perfectly complimented by Quintero’s infectious congas. “Sounds Travel” is a short rhythmically driven vamp that has a West African vibe provided by Mr. Loueke’s nylon strings, Mr. Quintero’s congas and Mr. DeJohnette’s piano and cymbals all working in time to create a tap your feet beat. 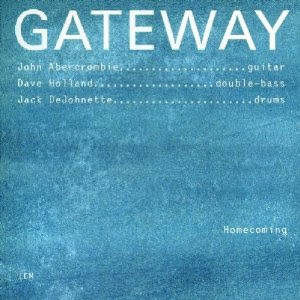 The singer Bobby McFerrin is featured on this version of Mr. DeJohnette’s ”Oneness,” first heard on his Gateway Homecoming album with John Abercrombie and Dave Holland from 1995. Mr. DeJohnette’s ruminative piano is followed in sync by Mr. McFerrin’s amazingly expressive voice and seems to pay homage to Brazilian vocalist Milton Nasciemento’s haunting vocals from his work with Wayne Shorter on the seminal Native Dancer without plagiarizing him. The two virtuosos pull off a masterful duet by any measure. “Indigo Landscapes” features the young and talented pianist Jason Moran. Interestingly it is the only song on the album where DeJohnette relinquishes the piano chair. Moran’s piano solo cascades in beautifully undulating waves of sound. Spalding’s pliant bass lines are pleasantly out front and Tim Ries tenor is full throated, warm and caressingly sensual. DeJohnette, freed from piano duties, creates a sustained syncopated beat that drives the tune pleasantly forward and is complimented nicely by Quintero’s congas. The interplay at the coda is quite impressive between Spalding, Ries and Moran. The ending piece is another piano solo titled simply “Home.” The song leaves the impression of a peaceful sense of comfort and belonging that only comes from one's home. It identifies a man who is content with his music and has come full circle. While the album is not obviously thematic it should be relished for the diversity and its musical breadth. Musicians: Jack DeJohnette, drums, piano compositions; Esperanza Spalding, acoustic and electric bass, vocals; Lionel Loueke, electric and nylon guitar; Luisito Quintero, percussion; Ambrose Akinmusire, trumpet, Tim Ries, tenor and soprano saxophone; Bruce Hornsby , vocal and composition on track 3, Jason Moran piano on track 8; Bobby McFerrin, vocals and percussion on track 7. This past Monday evening, appropriately on the anniversary of Martin Luther King's birthday, I was fortunate enough to attend a very special farewell event. 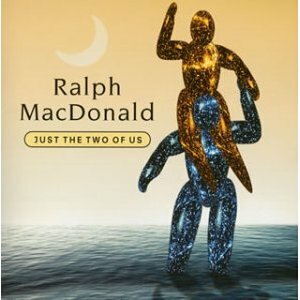 The occasion could have easily been the marking of a tragedy, as it was a gathering to memorialize the recent passing of Ralph MacDonald, the percussionist/songwriter/producer who recently succumbed to lung cancer on December 17, 2011 at the early age of sixty-seven. Instead it was a celebration of the man's life and accomplishments, a gathering of family, friends and admirers who had one last chance to acknowledge, to remember and to celebrate. Ralph MacDonald was born in Harlem, NY in 1945 of Trinidadian or "Trini" descent. 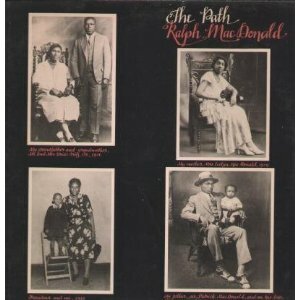 Music was a tradition in the MacDonald family with Ralph's father a well known performer of calypso music playing under the stage name of "Macbeth the Great" and the Creole Rhythm Boys, and his uncle Urias Fritz being an early influence on congas. MacDonald's first musical break came standing in for a friend on steel drums in Harry Belafonte's band in 1962 where he eventually demonstrated his writing skills on Belafonte's well received Calypso Carnival album in 1966. "Where is the Love", made famous by Roberta Flack and Donny Hathaway in 1972. He would never look back. 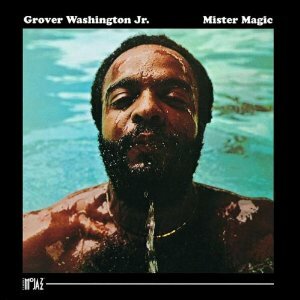 The "ghost behind the music" , as he came to be known, continued to pen memorable songs including Grover Washington Jr's "Mister Magic", "Winelight" and the first of his Grammy awards for "Just the Two of Us," which he and Salter co-wrote with the singer Bill Withers. He would go on to win two more Grammy awards both for "Calypso Breakdown" which was included in the soundtrack to the Bee Gees platinum album Saturday Night Fever. In addition to a prolific career as a producer and songwriter, MacDonald considered himself foremost a musician. He contributed to countless albums in genres ranging from jazz and soul to pop and calypso. He spent twenty-six years touring as a member of Jimmy Buffet's Coral Reefers band. The evening was a gala event at Stamford's resplendent Palace theater. Music was MacDonald's life and even though there were poignant moments of recollection by family members and friends, humorous stories and an audience affirmation of MacDonald's favorite expletive the real celebration was the man's music. Music started emanating from the upper reception area even before the main stage was open to the audience, as the arriving guests were entertained by the sounds of the Ebony Hillbillies. This fiddle based group featured a intriguing mix of bluegrass, rockabilly, jazz, blues and Celtic tunes. The ensemble featured banjo, fiddle, washboard, spoons, vocals and some slithery dancing that made everyone tap their feet and bob their heads.It was most appropriate as MacDonald's long time friend and co-writer William Salter is a member of the band and was playing upright bass on this momentous evening. another island favorite "Don't Stop the Carinval". A quartet of conga and drum players that included steel pan virtuoso Robert Greenidge, then demonstrated the various rhythmic possibilities of various hand drums that are so vital to the music of MacDonald's Caribbean roots. The stage was set for Jimmy Buffett and his Coral Reefer Band. Mr.Buffett, a pop icon in his own right, acknowledged his debt to Mr.MacDonald. Buffett made special note of how much MacDonald's album The Path had influenced him. Over a twenty-six year run on the road it was obvious that the two men shared a lifetime of experiences that bonded them permanently. Buffett sang "The King of Somewhere Hot," a song he co-wrote with MacDonald, Salter and Robert Greenidge, to an appreciative audience. Knowing there were many entertainers in the wings, the gracious Buffett closed his brief set with another MacDonald/Salter/Buffett collaboration titled "Creola". The next set featured a rare combination of steel pan and drum players that gathered here from many different island bands, all wanting to pay tribute to a fallen brother This nine piece band with its' authentic West Indian sound was joyful and evocative. You could almost feel the sun on your face, the sand between your toes and the frost melting onto your hand from the glass of your frozen umbrella drink. 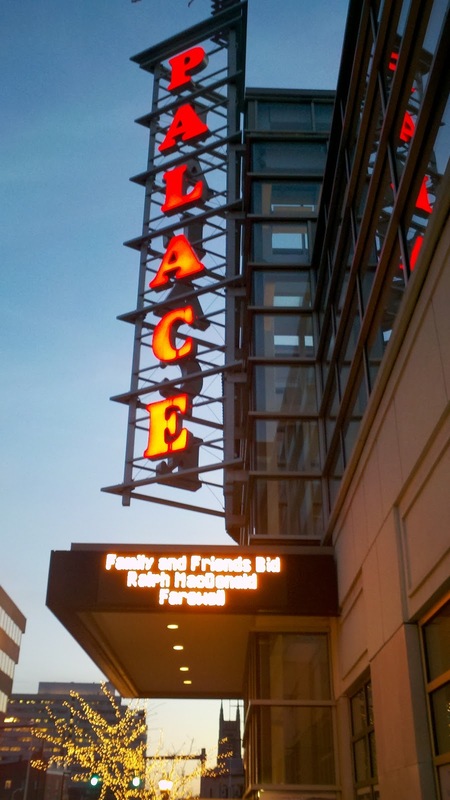 The stage was then set for a large ensemble of professional musicians who worked with Ralph and wanted to celebrate his life and music on this special evening. Throughout the evening a beaming portrait of MacDonald loomed over center stage grinning in silent approval. The band played beautiful instrumental renditions of some of MacDonald's songs like "Pots and Pans" from his Trippin' album. Featured solos by Robert Greenidge on pans,Onaje Alan Gumbs on electric piano, Chris Parker on drums and a bevy of musicians I couldn't recognize was a highlight. The audience enjoyed some soulful singing by Nadira Shakoor on " I Wanna Hold You Tonight" and Dennis Collins on "Just the Two of Us", both artists featured on MacDonald's album Just the Two of Us album from 1996. After a brief intermission the audience was introduced to the debut of Ralph's son Atiba who has branded himself as "We the People" and did a rap song dedicated to his father. Valerie Simpson, of Ashford and Simpson fame, sat at the piano and sang MacDonald's "Tradewinds" in one of the most impressive vocal performances of the evening, garnering tumultuous applause from an appreciative audience. The evening wouldn't be complete without the grand dame of R&B Roberta Flack singing MacDonald's "Where is the Love," a song she made famous with the vocalist Donny Hathaway in 1972. Flack's voice was noticeably frail but she was joined in the classic duet by Dennis Collins who did all the heavy lifting in the song. The evening closed out with an instrumental bash that featured flutist Bobbi Humphrey fronting a group of talented musicians on MacDonald's groovin' composition "Mister Magic" made famous by Grover Washington Jr. If the evening made one thing clear it was that Ralph MacDonald never forgot his native "Trini" culture and especially its buoyant sounds. He brought the easy sway and earthy vibrancy of those sounds to all the music he he made across all genres. He enriched all of our lives by introducing us to the wealth of this island musical heritage. It is this legacy that endears him not only to his fellow musicians but to anyone who has or will ever hear his music. 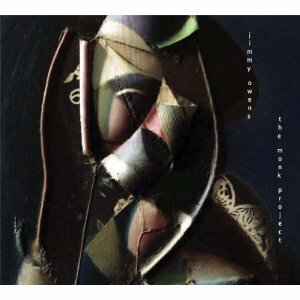 Jimmy Owen's "The Monk Project"
The music of Thelonious Monk never fails to intrigue and entertain me. The maestro’s music could be dissonant and yet melodic, lyrical yet quirky and angular, sometimes seemingly unresolved yet confoundedly memorable with no end to rhythmic surprises. The trumpeter Jimmy Owens, who has previously revisited the music of trumpeter/arranger Thad Jones and the trombonist/composer Tom McIntosh, this time attempts some of Monk’s most identifiable music on his latest release The Monk Project. For this project Owens was able to enlist the services of fellow NEA Jazz Master Kenny Barron on piano, along with a fine rhythm team of bassist Kenny Davis and drummer Winard Harper and a front line that includes Owen’s on trumpet and flugelhorn, the rambunctious trombone of Wycliffe Gordon, the talented tenor of Marcus Strickland and the impressive multi-instrumentalist Howard Johnson. Part of the success of this entertaining album is Owens’ choice of material. Most of the songs have slowly made their way into the canon of jazz standards. Owen’s arrangements unabashedly approach the music from a blues sensibility, humanizing the sometimes-esoteric qualities of some of Monk’s more challenging compositions. Starting off with Monk’s re-creation of the playful “Sweet Georgia Brown”, his “Bright Mississippi”, ‘Owen’s, Gordon and Strickland create a cheerful front line sound as Johnson’s tuba creates the New Orleans’style bottom. “Well You Needn’t” is played surprisingly slowly with Owens’ accentuating the ballad qualities of the song on his mellow sounding flugelhorn. The interest is accentuated in the rhythmic changes carried by Winard Harper’ drums as he dances over Barron’s steady vamps on piano. “Blue Monk” is transformed into a dirge with Gordon’s surly sounding trombone featured, growling and slurring its way to your brain. Strickland is given a chance to show where the music comes from with a gutsy tenor solo steeped in the blues. Mr. Barron tickles the ivories in true barrelhouse fashion in a celebration of a time gone by. “Stuffy Turkey” is a more conventional offering where Marcus Strickland and bassist Kenny Davis have a chance to build solo statements free from flair but filled with intelligent, economical choices. “Pannonica” is a slow melancholy ballad , originally written by Monk for his benefactress, the Baroness “Nica” De Koenigswarter. Owen’s is at his most lyrical here and his warm tone conjures up images of a time of more leisurely elegance and grace. On Monk’s less familiar “Let’s Cool One”, Owen’s goes for a ¾ time with Strickland taking the lead on a fluid tenor solo leading to a airy, buoyant trumpet solo by Owens. The only non-Monk tune on the album is Ellington’s “It Don’t Mean a Thing (If It Don’t Have That Swing) ” where a student of Owen’s transcribed Monk’s original orchestration of this tune for the horns on this arrangement. Howard Johnson’s bellowing tuba is initially featured. A solo by Owens and then the brash Wycliffe Gordon’s boisterous trombone complete the rounds on this one. Perhaps the most challenging piece tackled on the album is Monk’s shifting “Brilliant Corners” and my personal favorite. Owen’s and company navigate the shifts in the contorted melody line in a deliberately slow cadence, quickening the tempo at precise junctions in the tune to great effect. Kenny Barron’s deep blues drenched solo midway is a delight and Owen’s own soulful interpretation of the melody hits the mark before Johnson, Strickland and Gordon all join the fray in a feast of interpretive sounds. On “Reflections” Owen’s starts off unaccompanied, with his trumpet sounding deeply reflective. He is later joined by Barron’s simple piano lines and then is shadowed by Gordon’s expressive trombone. The two horns intertwine in perfect harmony briefly before the stage yields to Gordon’s solo trombone in his most restrained and lyrical of performances on the album. The finale is Monk’s timeless “Epistrophy”. The horns back Owen’s trumpet in bright, crackling fashion. A rousing baritone saxophone solo by Howard Johnson creates another timber for the ear to enjoy as Harper and Davis make sure the song swings on. Owen’s, then Strickland, and then Gordon each get a chance to make their closing statements and they each do so with concise, well thought out lines that are both interesting and evocative especially the playful Gordon. When the horns play together in the closing minutes of the song their precision is executed flawlessly and seemingly effortless. For those who love the music of Monk played by expert musicians who know and love it, Jimmy Owen’s The Monk Project will not disappoint. Musicians: Jimmy Owens, trumpet, flugelhorn;Wycliffe Gordon, trombone; Marcus Strickland, tenor saxophone; Howard Johnson, tuba, baritone saxophone;Kenny Barron,piano; Kenny Davis, bass; Winard Harper,drums.